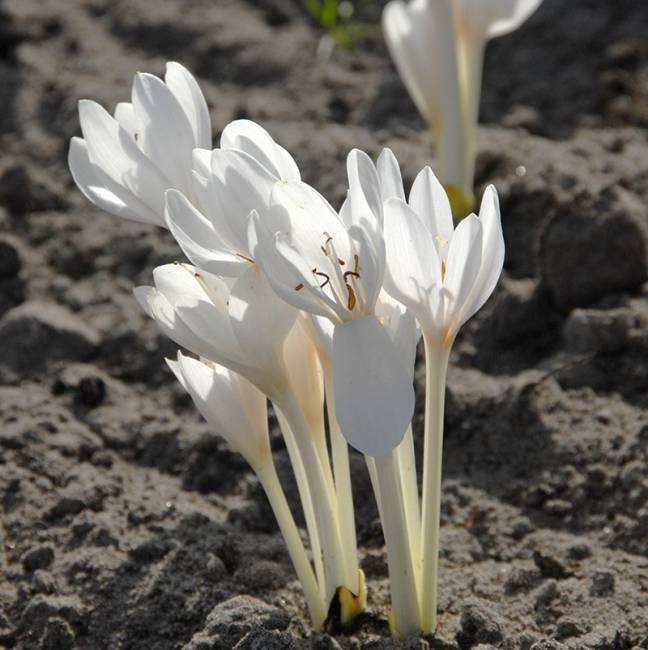 The flowers of Colchicum autumale 'Album' (white Meadow saffron) and of Bieberstein's crocus are very similar. However, there is one clear difference: the flowers of the white Meadow saffron have six stamens, while those of Bieberstein's crocus have three. 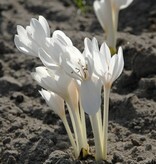 Colchicum autumale 'Album' is native to most parts of Europe. With sunny autumn weather the flowers open beautifully wide. Unfortunately a wet autumn can cause the flowers of the white Meadow saffron to go over quickly.